Denver-based Americana group Nathaniel Rateliff & The Night Sweats have launched a lyric video for their latest song ‘Hey Mama’, taken from their forthcoming second studio album ‘Tearing at the Seams’. 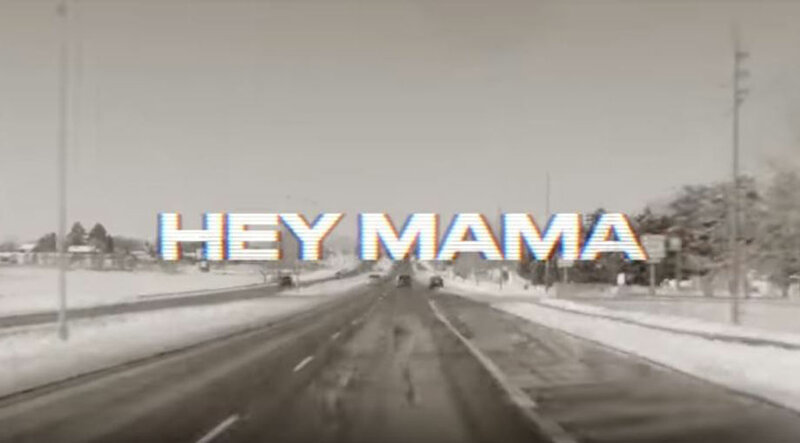 The video is shot in black and white, and takes the viewers on a snowy road trip down a highway as the fuzzy lyrics flash up on screen as though it were an old television set. The video for lead single ‘You Worry Me’ was shot in a similar style. ‘Tearing at the Seams’ has been produced by Richard Swift and marks Nathaniel’s first new studio album project with The Night Sweats since their eponymous debut in 2015. It comes just months after they dropped their live compilation ‘Live at Red Rocks’ in 2017. Since their debut, they have also released a companion disc for said album entitled ‘A Little Something More from Nathaniel Rateliff & the Night Sweats’. Nathaniel Rateliff & The Night Sweats are currently on tour with a number of North American and European tour dates spanning until August. They have three nights at London’s O2 Shepherds Bush Empire in April, and two dates at the Red Rocks Ampitheatre in Morrison, Colorado at the end of the tour. The band also have a handful of festival appearances including Shaky Knees and Burnaby Blues + Roots. ‘Tearing at the Seams’ will be released on March 9th 2018 through Stax Records.